If you think that fish, fruits and vegetables are the only foods that help with weight loss, then you’re missing out on some truly amazing calorie-burning herbs that help with weight loss. 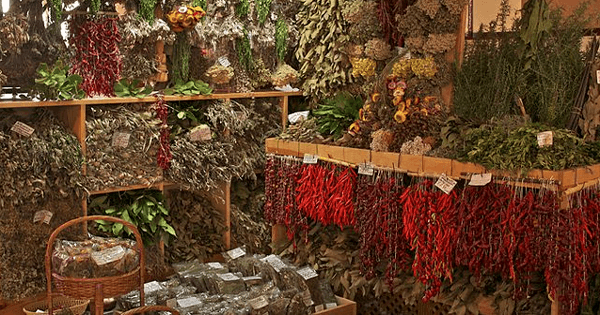 Contrary to popular belief, herbs and spices have more benefits than just adding flavour and aroma to your food. They have metabolism-boosting abilities which help burn calories faster. Take a look at the following herbs which can be added to your weight loss regime, and help you achieve your ideal weight sooner than you anticipated! This bright yellow spice is well-known in Asia as an antibacterial ingredient, and forms an important component of Eastern cuisine. This spiced also helps with weight loss as it contains the active ingredient curcumin, which is highly effective for losing weight. A 2009 Tufts University study proved this when they found that the mice which were fed curcumin lost more fat than those who were not fed the spice. Adding turmeric to soups and stews can improve the flavour, and give you the necessary boost you need to lose weight. If you’re eating roasted nuts or vegetables as snacks, you can sprinkle turmeric on top. Important note: Turmeric has a powerful flavour, and a small amount can make a huge difference. 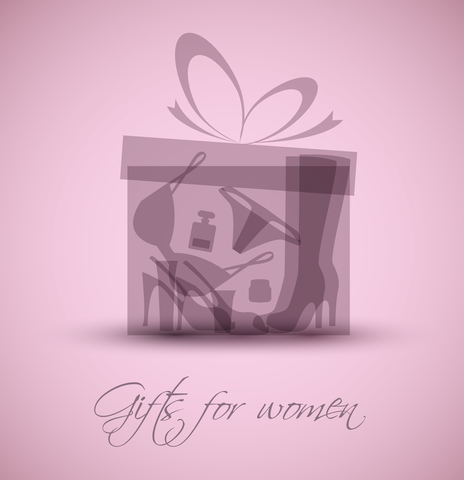 So be very careful to NOT go overboard with using it. A small pinch in a pot full of, say, stew or soup would be enough. Ginseng is one of the most powerful Chinese herbs for weight loss. For centuries, it has been used for improving energy, stamina, and overall well-being. Today, it is easily available in fresh or dried form. And both forms can be used for losing weight. Ginseng has the unique ability to reduce the body’s capability of storing fat. When we eat excess calories, our body takes this as a signal that you may need this nutrition later, and stores it away in the form of fat tissues. Got to love this about ginseng … it triggers the body into allowing only the required nutrients to be consumed and expelling the rest. You can take ginseng as a supplement or a tea. Take one to three ginseng supplements (500 mg) daily for less than three months. Alternatively, you can drink ginseng tea twice a day. Important note: Do not use ginseng for extended periods of time … and please, discuss your usage of this with your medical practitioner BEFORE using, for your own safety. Researchers at Shahid Sadoughi University of Medical Sciences conducted a study on obese women who were divided into two groups: those who consumed cumin and those who didn’t. All other nutritional parameters were kept the same. The study concluded that the study group which consumed a single teaspoon of cumin per day burned thrice the amount of body fat than the study group that did not. This is because cumin is rich in phytosterols, which inhibit cholesterol. This is amazing news because cumin is one of the most common spices used to add flavour to food, and a daily intake is easy. You can add it in everything from salad dressings and flatbreads to stews and soups. And if you’re not feeling like cooking, simply add a pinch of roasted cumin seeds to plain yoghurt and eat that with a spoon. Yummy! Cinnamon is a fragrant spice which you may already be using by sprinkling over your morning oatmeal. Learning that this spice has weight loss benefits too, may get you thinking of increasing your usage, to gain further benefits. 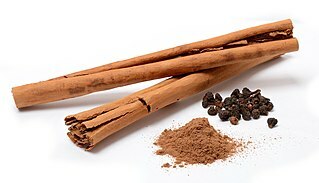 Warning: GlutathioneDiseaseCure.com warns that too much cinnamon may not be very smart. Again, always check with your medical practitioner before starting on any weight loss plan natural or otherwise. You can mix cinnamon in yogurt, cheese or tea . . . or even use it in the marinade for meats and enjoy a delicious meal which aids weight loss. Apart from burning calories, cinnamon plays a major role in controlling blood sugar and keeping them at an optimum level. Ginger is great at controlling blood sugar. This means that if you’ve taken a meal rich in carbohydrates or sugar, ginger can help prevent a spike in the glucose levels. You can use it in meals or make ginger tea. Fresh ginger is more beneficial than refrigerated or powdered ginger. So if you’re using it in preparing a meal, grate fresh ginger and add it to the ingredients. As for ginger tea, avoid using teabags. Peel and cut some thin ginger slices and boil it for ten to twenty minutes. Then add some lemon zest or honey and enjoy. Important note: If you’re using blood thinning drugs, do not use ginger because it amplifies the effects of these types of drugs. Always consult your medical practitioner before starting on any weight loss diet. If you’ve ever added too much cayenne to your meal, you’ll know full well that this spice can drastically increase the body temperature. This is how cayenne works. It warms up the body to aid sweating and speeds up the metabolism. According to a study in Open Heart, capsaicin, the phytochemical available in copious amounts in cayenne, is responsible for improving metabolism rates. For an extra kick, you can add it to dips and salad dressings, too. Black pepper has the same fat-burning properties as ginger. It can prevent the formation of new fat cells, which avoids weight gain in the first place. Black pepper tastes great in almost all types of foods. Consider adding it to your daily meals. Personally, I prefer fresh ground pepper. Many gardeners consider dandelion as a pesky weed to get rid of. This “weed” has some great weight loss benefits as shown by preliminary studies. It reduces bloating and neutralizes the toxins which cause inflammation. It is also a rich source of vitamin A, C and E. The best news is that all parts of the dandelion—flower, leaves and roots—are edible. Add dandelion to salads or make dandelion tea to get your share of weight loss benefits. Warning: Dandelion is generally considered to be safe for consumption. However some users may suffer from an allergic reaction from even touching dandelion while others my suffer sores in their mouth. Consult your medical practitioner before considering eating dandelion. This gorgeous red herb is loaded with flavonoids, minerals and nutrients that reduce weight by lowering the absorption of carbohydrates and fats. This encourages the body to expel the nutrients not required by the body instead of storing it in fatty tissues. Moreover, the diuretic nature of hibiscus can help you shed water weight. A study published in the Food & Function Journal revealed that the study groups that were given hibiscus extract supplements for three months showed visible decrease in waist circumference, and a reduced hip-to-waist ratio and body fat percentage. You can drink 2 to 3 cups of hibiscus tea daily. To make the tea, add 2 tablespoons of dried hibiscus petals to 2 cups of water. Bring it to a boil and then steep for 5 to 10 minutes. Strain and add honey and lemon juice for taste. Important note: If you are pregnant or breastfeeding, or if you’re on medication, consult with your medical practitioner before taking this herb to ensure that it does not counteract the effects of the medication. Flaxseed comes from a flax plan, which is an annual herb. Its use dates back to more than 4000 years. Flaxseed is loaded with antioxidants, dietary fiber and macronutrients; as well as being ranked the highest among foods containing plant-based omega-3 fatty acids. A single ounce of flaxseed contains 32% of the daily fiber recommended by the US Department of Agriculture. There are two types of flaxseed: brown and gold seeds. Both have a slightly nutty flavour. While they are available as a whole seed and a fibrous substance, use the ground form because the whole seed tends to pass right through the digestive tract without being absorbed into the bloodstream. If you get a bag of whole flaxseed, you can simply grind it in a coffee grinder. Oregano is a popular ingredient in Italian cuisine. This herb also helps you lose weight. It has an active component known as carvacrol which helps dissolve excess fat in the body. It promotes healthy digestion and reduces bloating. If you’re wondering how to include oregano in your regular diet, you can take oregano capsules, use drops of oregano oil (4-5 drops in low calorie fruit juice), and drink oregano tea (steep three teaspoons of oregano leaves in hot water for five to ten minutes). Important note: Please consult your medical practitioner before taking oregano supplements. 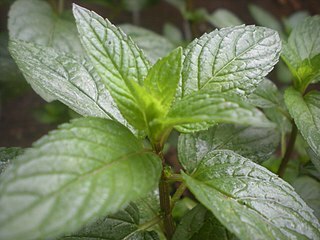 Peppermint is a tasty herb which adds a strong sweet fragrance and flavour to many dishes. It is also great for reducing the total body weight. This herb works by aiding digestion and removing toxins from the body. It also reduces bloating. In addition to this, the aroma of peppermint oil is a great appetite suppressor. Researchers at Wheeling Jesuit University conducted a study on hunger levels. They divided participants in groups. The group that inhaled peppermint oil experienced less hunger and fewer cravings than those who didn’t. These are natural herbs that help you lose weight, but always consult your medical practitioner BEFORE using any of these for weight loss. This article is only meant to inform you. Herbs help you lose weight yes, but safe weight loss is always highly recommended.